If you are in the market for a new mid-size sedan that is powerful, fuel-efficient, and has the safety features to protect your precious cargo, then you will want to see the Honda Accord. The Accord consistently ranks as one of the top-selling sedans in America, and the latest version further improves on everything that Accord owners love about this stylish and well-appointed sedan. Space Coast Honda proudly serves drivers and families near Cocoa, Melbourne, Rockledge, Viera, Titusville, and Cocoa Beach. We invite local drivers and beyond to visit our Cocoa, FL showroom to test drive the stylish new Honda Accord. While browsing our website, you can shop our complete inventory of Honda Accord sedans and other new Honda models, get pre-approved for your new car loan, value your trade-in vehicle, and much more. Fuel economy certainly matters to drivers who are shopping for a new family sedan like the Honda Accord. There is great news on the fuel efficiency front for the 2016 Honda Accord, as it will put you miles ahead of Toyota Camry drivers, who will have to pull over to the gas station more frequently to refuel. The 2016 Accord's standard inline-4 engine returns an EPA-estimated fuel economy rating of 27 miles per gallon in the city and 37 miles per gallon on the highway, with a combined (City/Hwy) EPA-estimated rating of 31 mpg. 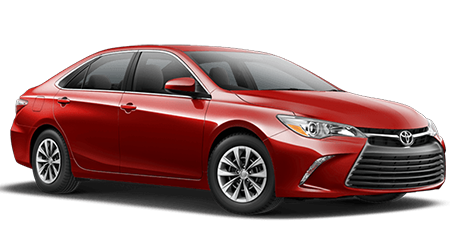 Toyota Camry mid-size sedan drivers can expect for their cars to only muster 25 mpg in the city and 35 mpg out on the highway, with a combined rating of 28 mpg. That's right; you read those figures correctly, the 2016 Accord tops the 2016 Camry by up to three mpg! With its significantly more fuel-efficient powertrain, is no wonder that so many drivers are either switching to Accord or passing on the Camry and buying a second or third consecutive Accord! Given that the 2016 Honda Accord tops the Toyota Camry in standard fuel economy, you may think it safe to assume that the Camry is the more powerful choice. The reality, though, is quite different. The 2016 Accord once again bests the 2016 Camry, with more standard horsepower and torque! The potent and efficient inline-4 engine found beneath the Accord's hood generates 185 horses and 181 lb-ft of torque, which is an additional seven horsepower and 11 lb-ft of torque over the Camry. Since these two mid-size sedan rivals have a nearly identical curb weight, the Accord's additional seven hp and 11 lb-ft of torque can be felt in real-world driving conditions. In other words, the new Accord will likely feel more powerful and capable than the Camry if you test drive them back-to-back. If you seek both fuel efficiency and power in your next mid-size sedan, then the 2016 Honda Accord is a smart choice over Toyota's Camry. Both the 2016 Accord and Camry mid-size sedans offer a long list of safety features, but the Honda edges out the Toyota in overall safety, including safety ratings. The NHTSA has awarded the Honda Accord with a 5-Star Overall Crash Test Rating, meaning the Accord's safety is at the top of its class! The Camry, meanwhile, received a few 4-star safety ratings, including in overall frontal crash, side pole crash, and rollover. While both are safe sedans, why not choose the sedan that passed the crash safety tests with flying colors? 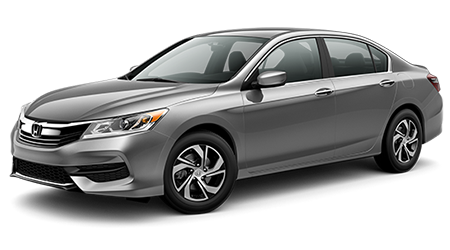 If you have now got the itch to test drive Honda's impressive 2016 Accord mid-size sedan, and you live near Cocoa, Melbourne, Viera, Titusville, Rockledge, or Cocoa Beach, then visit Space Coast Honda. One test drive of this efficient, powerful, and supremely safe sedan and we are confident that you will want to find one to call your own! You can shop our current inventory of new Honda Accords and other Honda vehicles from the comfort of your Florida home, here on our website. While shopping our online inventory, why not value your trade? Our full-service Honda dealership is also home to a Honda service center that is ready to keep your vehicle running like new long after your purchase. For all things Honda near Cocoa, FL, choose Space Coast Honda!